You may know that in a couple of weeks I will be celebrating a special milestone birthday. On 2nd May I turn 30 and, although I am a little apprehensive about going into a new decade of my life, I am also really excited. A milestone birthday is most definitely a cause for celebration and when Buyagift got in touch asking if I would like to collaborate with them again, I was more than happy to. 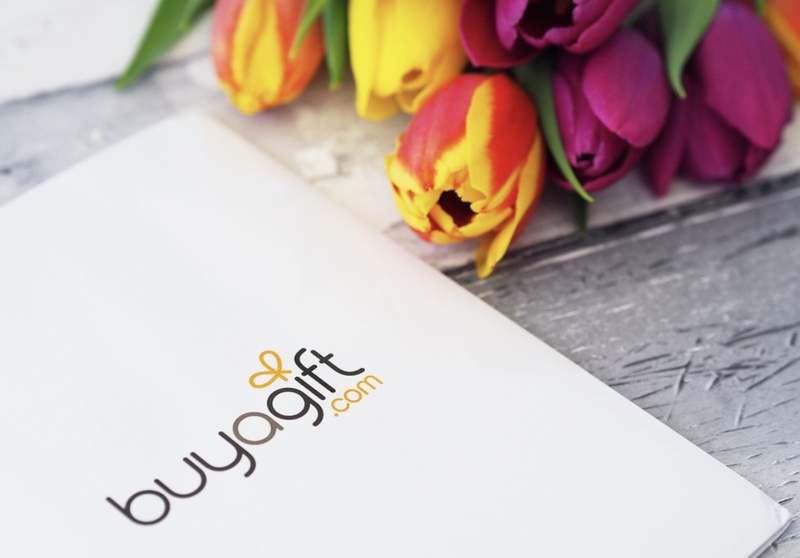 Buyagift have a huge selection of experience gifts available on their website, with something suitable for every taste. Experiences range from restaurant and bar vouchers to adrenaline fuelled adventures and short breaks away. As well as there being something for everyone, there is also a gift to suit every budget. You can find current special offers, including money off and two for one deals on the website, and if you are a student, you can get 15% off through Student Beans. When searching for the perfect 30th birthday gift, Buyagift suggest experiences based on the recipient’s individual tastes. Food lover? Why not gift an afternoon tea, three course meal or chocolate making experience? Adrenaline lover? Get their heart rate racing with a day driving a supercar or indoor skydiving adventure. Perhaps they deserve a proper break from it all? There are a huge range of getaways available from spa hotels to city breaks. I was kindly sent across the Overnight Murder Mystery Break with Dinner for Two, exclusive to Buyagift, to celebrate my own milestone birthday and I can’t wait to get away with Ed and enjoy it. The voucher is valid for 10 months from the date of purchase and can be redeemed at a number of venues across the UK, which makes it a really flexible gift. You can choose to purchase the experience as an e-voucher or have a tangible gift card sent across in the post for your recipient, which is a nice touch. I was gifted an experience with Buyagift for the purpose of this post, however all words and images are my own.